These DEEP EXTRA LARGE CELLS give larger root balls so your plant will have a head start after transplanting. Each cell is 2 1/2'' W x 2 1/4" L and 3" deep. Light weight flexible plastic. 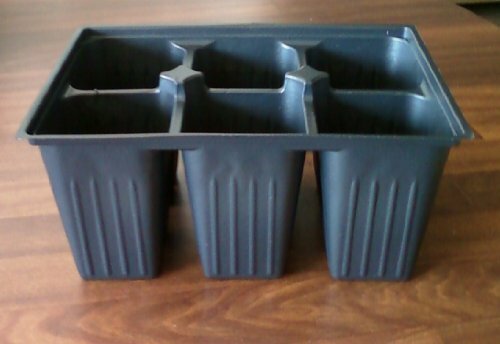 Easy de-potting of seedlings. Each 6-cell tray measures 7" X 5". Six of these trays fit inside a standard 1020 nursery flat. Generally considered single use although they may be reusable with care in handling. Includes 16 plastics stake labels, one for each tray.